If you’re tired of all the synthetic materials that are being used in the footwear industry today, we’ve got a real dash of fresh air for you. Glerups are the new leading trend that’s going to take over the market that’s thirsty for 100% natural products. These are made of 100% pure, natural wool, and the line of products includes boots, shoes, slip on shoes, and ballerinas. You can choose between the indoor options and the outdoor footwear and there are specialized lines of products for children, and even for babies. This footwear collection is very eco-friendly, and designed with care for people, the animals, and the environment. The colors used in the manufacturing process are proven to be free of heavy metals. The Glerups are made of 100% Merino and Gotland wool, shaped into socks, and steam-felted. The indoor models feature vegetable tanned calfskin soles that are glued and sewn to the socks. The soles are very light, soft and flexible, as well as the whole shoe. Some of the outdoor models come with a natural rubber sole. 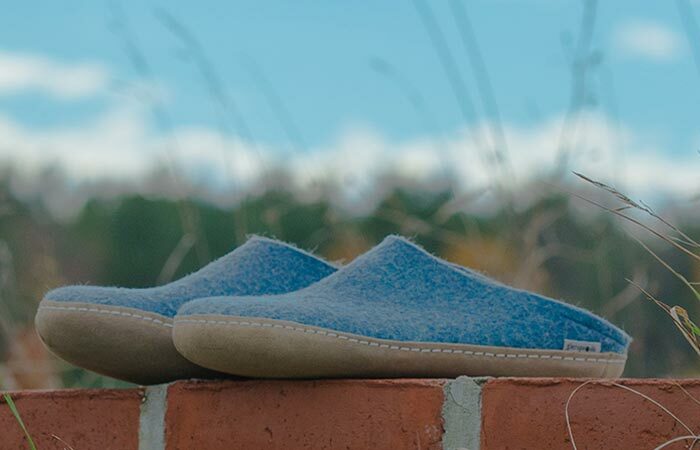 The Glerups are made from 100% natural wool that’s breathable and moisture absorbent to keep your feet warm and dry. The characteristics of the Glerups are same as the characteristics of the wool used to manufacture them. The unique characteristics and processing of the wool provide you with such warmth and comfort that you’ll want to wear them barefoot. The wool is a 100% natural and breathable material that captures moisture really well. This makes the footwear resistant to wear and provides good moisture absorption to keep your feet dry. You can also purchase wool insole separately and place them into any type of shoe for added comfort and insulation. The Glerups have soft, vegetable tanned calfskin soles while some outdoor models come with rubber soles. The Glerups may shed during the first few days after you purchase them, but this is a natural process of shedding where the roughest wool fibers are coming out of the felt. Simply remove these and don’t worry about it. The slippers will mold to the shape of your foot in no time. Ideal for the cold winter days, these natural boots collection will keep you cozy and warm right up to the ankles. The clog-style slip-on shoes are very popular as household footwear. 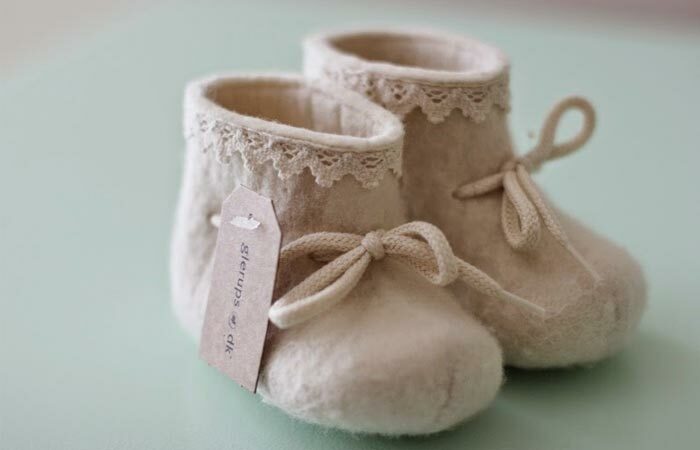 The baby boots are made of 100% high-quality Merino wool and come with laces to keep them in place. All the products come in a number of colors, including red, green, blue, gray, black, brown, purple, and orange. There’s also a Glerups collection for children, made from premium Merino wool, with laces to keep them in place.